A short version this week which in no way reflects the local jazz scene, just my time which will largely be out of town this coming week. So I can let you know what I will miss…. This weekend (8-12-13), I’ll miss the Atlantis Quartet, which tends to play at the Artists Quarter whenever I am out of town, it seems. They recorded live at the AQ a few months ago and are looking ahead to a CD release in late fall. But you can get a preview of the latest music from one of the area’s most inventive modern jazz bands—Zacc Harris, Brandon Wozniak, Chris Bates and Pete Hennig. You can’t miss with these guys. I’ll also miss a hot triple header on Saturday night (8/13) featuring the area’s newest jazz stars. Studio Z in St Paul’s Lowertown will be the scene of some creative collaborations, starting with young Quentin Tschofen and his quintet. 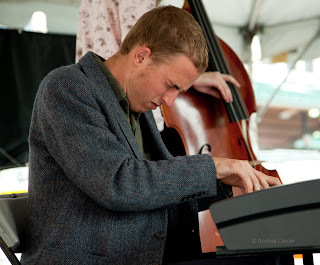 They played a set of Quentin’s exciting compositions at the recent Midtown Global Market Jazz Festival and will likely showcase his tunes again, with Brad Allen on tenor sax, Caleb McMahon on trumpet, Jordan Jenkins on bass, and this time out, Matt Buckner on drums. Quentin, Brad and Jordan start college studies next month; Caleb and Matt are going into their second years of university music programs. The second and third sets will feature gig organizer/ U of M piano student Joe Strachan, in a free improv duo (“Famous Last Words”) with trumpeter Noah Oppoven-Baldwin and with a trio featuring bassist Cory Grindberg and drummer Miguel Hurtado. At 23, Hurtado is the elder statesment of the night; the others are all immersed in university studies. If you want to know where jazz is heading next, come to Studio Z. And I will miss the Freedom Jazz Festival, which takes place on Saturday (8/13) and features a line-up of the community’s veteran musicians, including Morris Wilson and the Capri Big Band. There’s lots of family fun, a beautiful location (Minnehaha Falls Park) and of course nonstop music from noon til dark. Free! 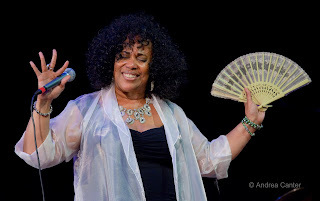 On Sunday (8/14), Pippi Ardennia and her very smokin’ band (Peter Schimke, Billy Peterson, Jimi Behringer and Glenn Swanson) are back at Landmark Center in St Paul for PipJazz, this show featuring special guest, Patty Peterson. Patty’s been on the bandstands of just about every area jazz Festival since late spring, putting some jazz into R&B hits, and putting some R&B soul into jazz classics. And Pippi? She’s covering R&B, blues, jazz and beyond. 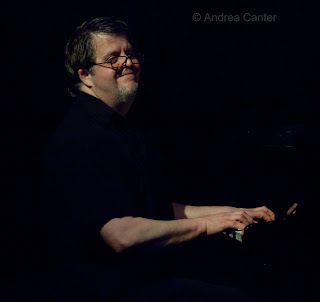 I hope to never miss Chris Lomheim’s annual tribute to muse Bill Evans. This one (8/17) at the Artists Quarter falls just a day ahead of what would have been Evans’ 82nd birthday. There isn’t a pianist in town who calls up the spirit of Evans quite as clearly as Chris. He’s supported in true Evans style by Chris Bates and Jay Epstein. I last saw Freddie Cole at the Regatta Bar in Boston in 2009. Just 80 at the time, I was impressed with the quality of his voice as well as his piano chops, both of which seemed as silky smooth and swinging as ever. He’s coming to the Dakota on Wednesday and Thursday (8/17-18), and I expect he’s bringing his long-standing quartet with guitarist Randy Napoleon. His most recent CD garnered a Grammy nomination, and if there was a category for veteran mainstream jazz singers, he’d be a sure bet. And yet one more gig of note on Wednesday (8/17) is Todd Clouser’s A Love Electric, with Adam Meckler, Andrew Foreman (for Chris Bates who is booked at the Artists Quarter), Greg Schulte, and Bryan Nichols at the revived jazz series at the Nomad. The band was electrifying at the Loring last week and has been on the road much of the summer.